As winter begins to kick in, it's time to start thinking about whether your car is prepared for the coming months. Just making a few changes can make a BIG difference. Winter tyres come into full effect at temperatures below 7c because they have a different compound and tread pattern to give them extra grip in cold, wet and icy conditions. 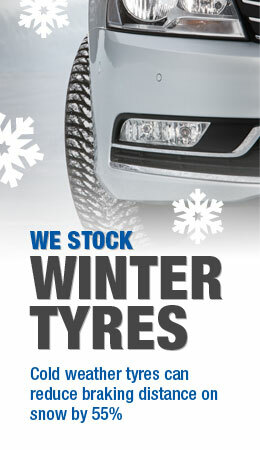 We can supply and fit a full range of winter tyres, please call us on 01622 751613 to understand your needs. Stay safe on the roads with improved traction and reduced stopping distances.